It might have been surpassed in function by its digital counterpart, but the Tokyo Tower is a site worth visiting. A remnant of the 1950s, and a symbol of the then escalating powerfulness of Japan as a leading world economic force, the 332.5 metre high (1,091 ft) Tokyo Tower had its core business replaced by the Tokyo Sky Tree when that was completed in December 2011. The new tower is almost double the height of the old at 634 metres (2,080 ft) – and provides digital signal transmission. 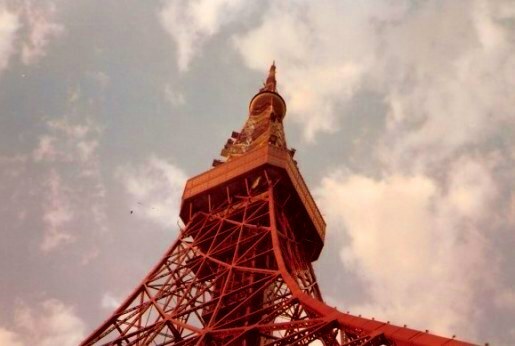 The Tokyo Tower was instead constructed for analog transmission which, along with tourism, supported its operation. Modelled upon the Eiffel Tower, the Tokyo Tower is 13 metres (42.6') taller. It therefore claimed to be the tallest self-supporting steel tower in the world. If you read about world towers, this is definitely a game of my tower is bigger than your tower – but I am not interested in that game, I am much more interested in the experience itself. over 11% of the total population of Japan. 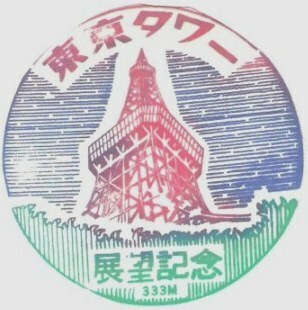 For its time, a visit to the Tokyo Tower was a unique Tokyo experience. 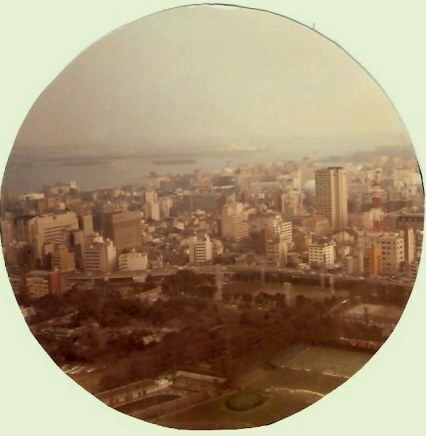 It provided that bird perch from which to gain some perspective on a city that within its then 2,187 square kilometre (54,0419.5 acre) metropolis housed around 1.557 million people. That was, even then, 0.6% of the total population of Japan, or, in other words – an awful lot of people. It is more now. 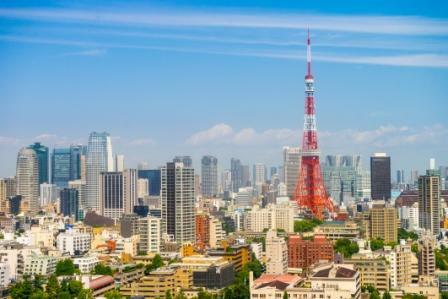 The metropolis of Tokyo in 2018 was estimated at more than 13 million and represents about 11% of the total population of Japan. 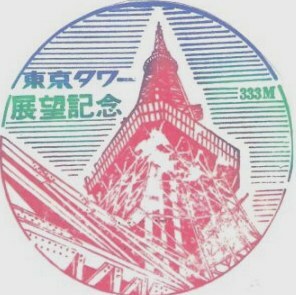 The 'make-your-own' stamps of the Tokyo Tower are colelctor's pieces. It is true that the view from the Metropolitan Government Building is free and better, but the Tokyo Tower is something of a grand old lady – an icon of a different era, when people took pleasure in simple tourist amusements such as printing their own ‘poor man’s postcards’. A room with a view: the Tokyo Tower offers specacular views, and makes for great viewing from around Tokyo - night and day. In fact, without going up the Tokyo Tower yourself, you can still get a good view of it from the French Garden within the beautiful gardens of Shinjuku Gyoen (near Shinjuku).It is also easily seen from the Imperial Palace and Ropongi. 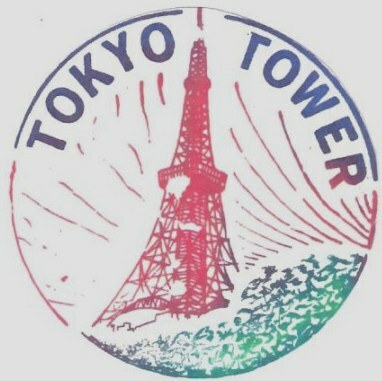 Rather than as the tallest self-supporting tower in the world, the Tokyo Tower is better known to millions through anime, where it appears to be a sort of maelstrom of inter-dimensional chaos. The Tokyo Tower also features as backdrop to myriad film stories, most notably as Godzilla’s play-toy of choice. In the night it is spectacularly illuminated. More than 2.6 million people a year visit – but rather than looking at the view, they spend more time with the 50,000 fish at the first floor aquarium, the Trick Art Museum, or the wax collection – where both Jimi Henrix and Leonardo da Vinci share premises (an interesting juxtaposition of personalities). The view itself is not stunning but it is panoramic. Every time you go, it will be different, as Tokyo seems to specialise in razing and rebuilding its urban landscape so that the building that was your point of reference last week, may well not be there to guide you the next. It wouldn't be business Japan without golf - and the Tokyo Tower gives a great view of the driving range below. 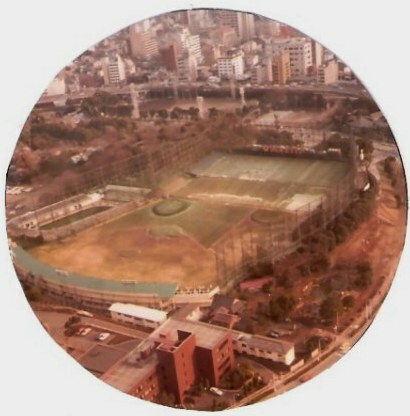 While you can look out from the Tokyo Tower to the busy Port of Tokyo with its more than 25 berth container terminals, Mt Fuji is not always able to be seen - but here, immediately below is something that is a view of something almost as much a hallmark of Japanese life: the golf driving range. Golf driving ranges are hugely popular and many are multi-storied, and within cities wrapped in big green nets like this one below. The benefits of a Japanese Golf Club membership are far greater than golf. There are over 2300 golf courses in Japan and reputedly more than 12 million golfers, with increasing popularity being spurred on by successes of Japanese golfers on the international circuit. Golf is an expensive game in Japan, but they say its an ill wind that blows nobody any good. The waning economic climate has meant that many formerly unattainable golf club memberships are now available to non-nationals. Japanese Golf Club membership can be attractive. Besides the excellent courses, there are amenities that you’re unlikely to find at your local golf club (assuming you don’t live in Japan) - such as Japanese hot spring baths and mahjong rooms. Memorial to the Sakhalin Husky dogs who tragically died when abandoned chained by Arctic exploreers expecting the new crew to arrive sooner than they did. Underneath the Tokyo Tower is something that really caught my attention. 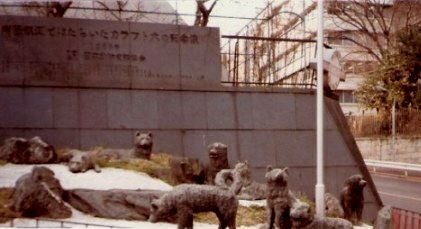 This is a memorial to the 15 Sakhalin Husky dogs that were abandoned when Arctic explorers had to quickly evacuate. For reasons I have not been able to discover, the departing explorers left the dogs behind and left them chained, expecting their explorer replacement team to be there in a week. However for various reasons, the next explorers didn’t keep the planned schedule.It was almost a year later when the next explorers arrived and found the Sakhalin Husky dogs still chained together in death with the exception of two of the dogs. By some miracle these two - Taro and Jiro - had somehow broken free of their chains and lived. Taro and Jiro are legendary in Japan and the statues of the huskies placed there by the Japanese Society for Prevention of Cruelty to Animals, are a fitting tribute. The initial attraction of me to the statues was that at first I thought they were Chinese Chow Chows. I was previously owned by such an animal (I am sure it was that way around, though she learned very early to be obedient when I explained to her in very terse terms that there was only one Queen in our house and it was not her!). Her companion was a German Shepherd cross-bred with a Coyote. When I shipped them after me in my travels, I had inherited a third dog – an American Golden Cocker Spaniel. My name is Chu Ling-after a Chinese Dowager. I am really not a fierce Chow but a pussycat. My name is Aggie and I am half coyote. I have never been confined before. Please be nice to me as I feel betrayed. My name is Billie. Do not be confused by my size. You may think me a Cocker Spaniel, but I am actually a Bull Mastiff. I heard that they travelled well and made lots of new friends en route. My new travelling companion, Balu is also a Chow Chow. He is also well-travelled. Somehow, the Tokyo Tower is a sort of gathering post for representations of a mythical Japan, whether in anime, on film, or in legend – and having these Karafuto Sakhalin Husky dogs always on guard seemed fitting.